For posiction and team or low wind flying, 3 points bridle is recommended. 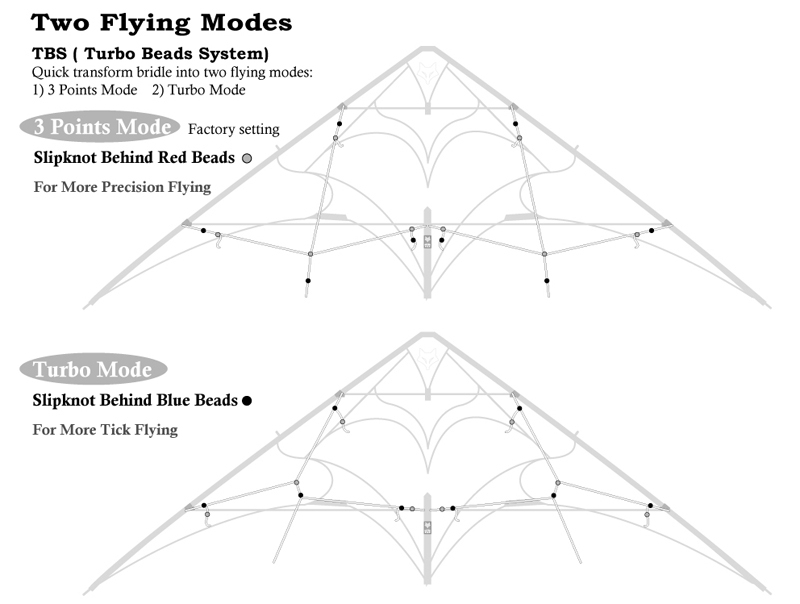 Flying Wings unveils a new line-up of kites designed to make current "state-of-the-art" flying affordable! Standard, Ultra Light and Vented models are available and in 2 sizes ... 2.5 meter (8' 2" wing span) and the "smaller" 2.3 meter (7' 6"). (Vented version is available only in the 2.5 meter). yo-yo stoppers. Pretty much everything a kite geek looks for in a modern sport kite!